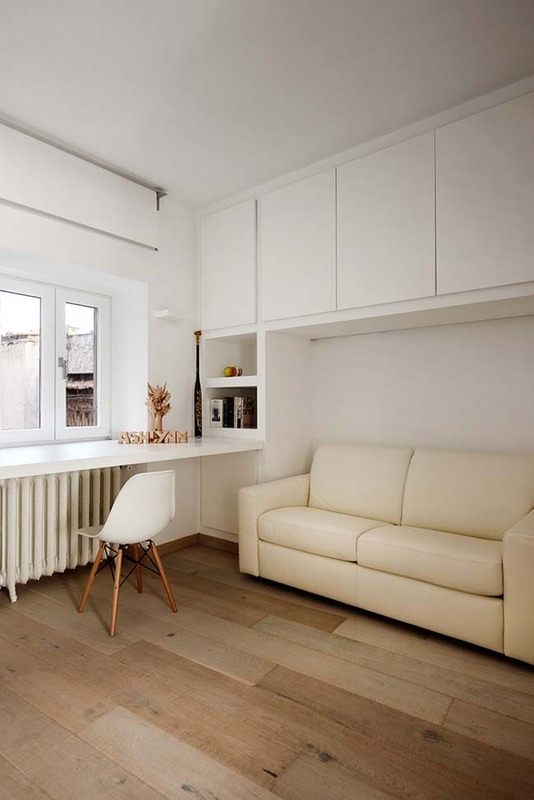 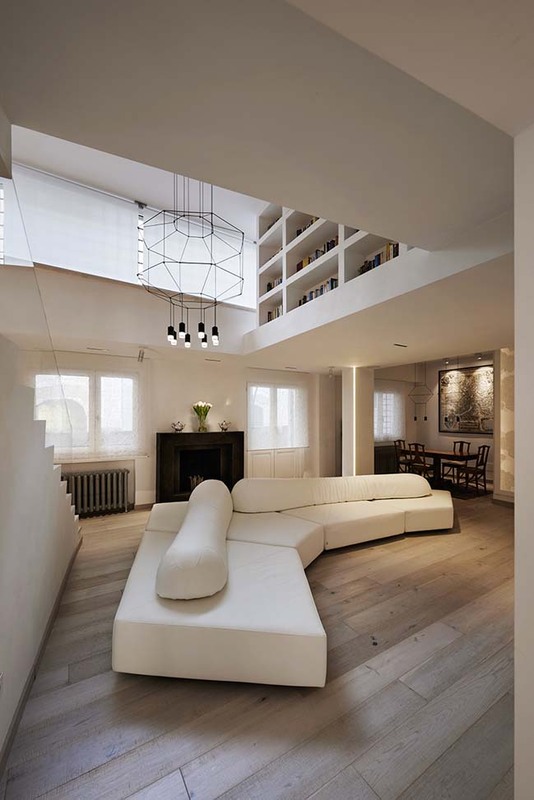 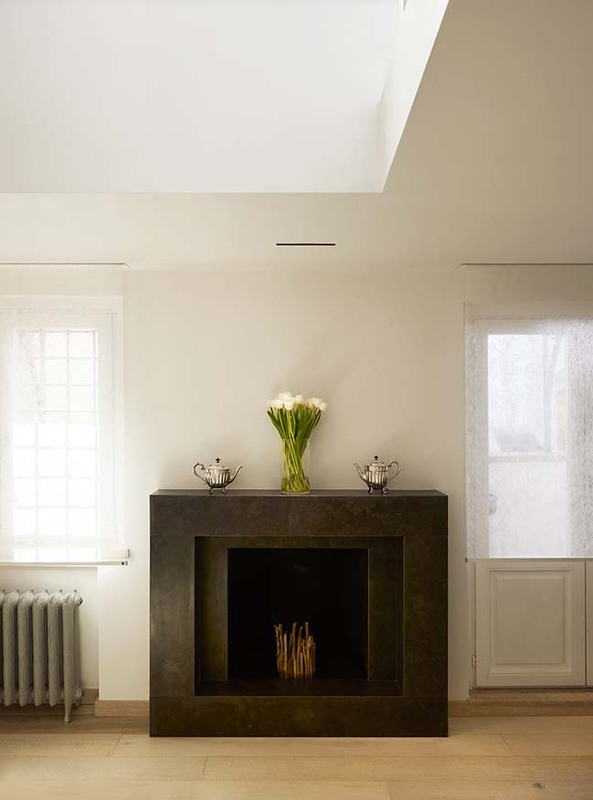 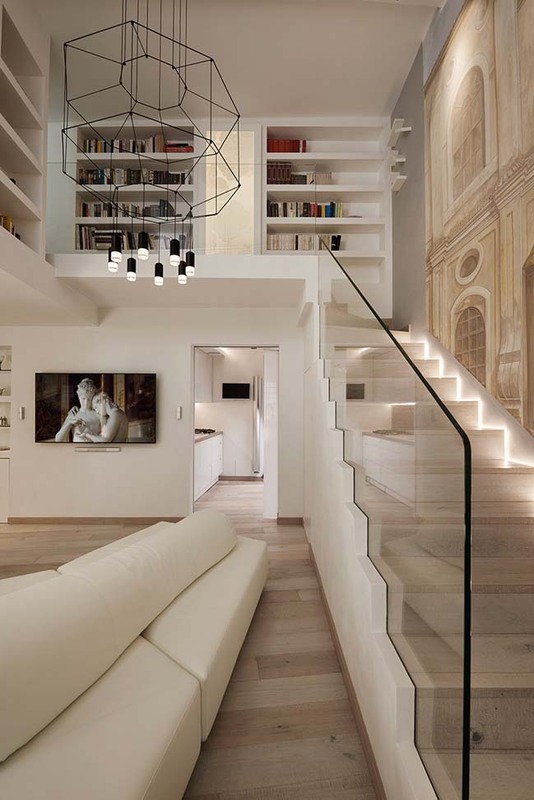 Designed by Carola Vannini Architecture. 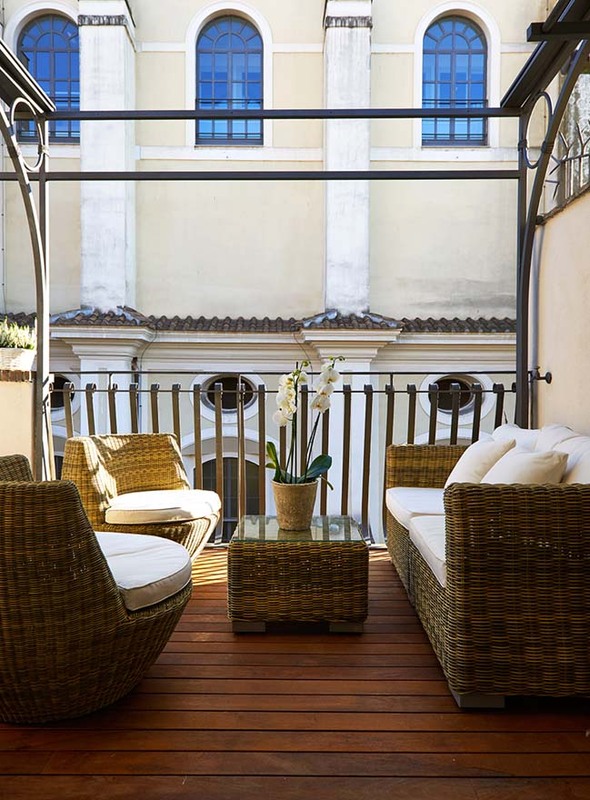 Navona Penthouse is a prestigious residence located near the Piazza Navona in Rome is nestled within a unique urban and artistic architectural mosaic. 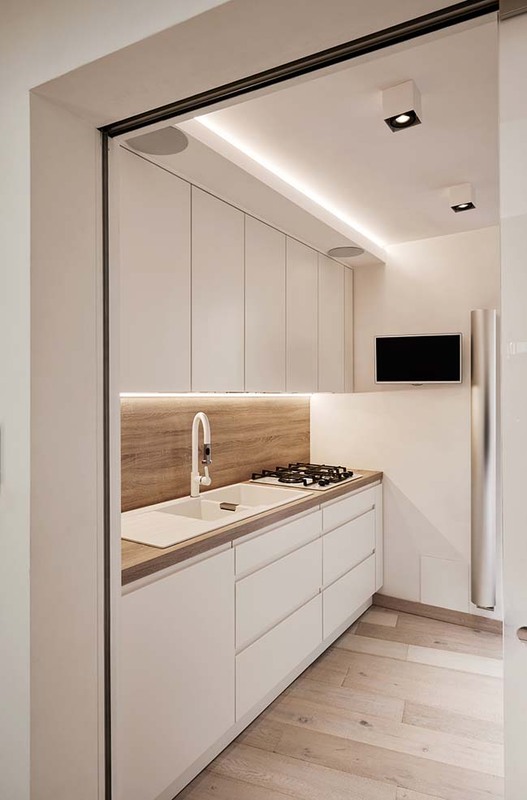 From the architects: The renovation takes into consideration this unique nuance and emphasizes it through the contrast with new architectural choices. 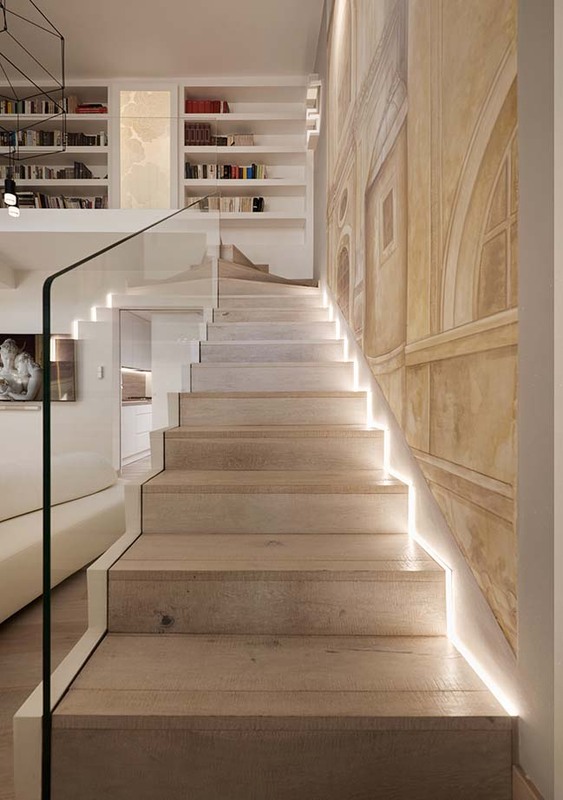 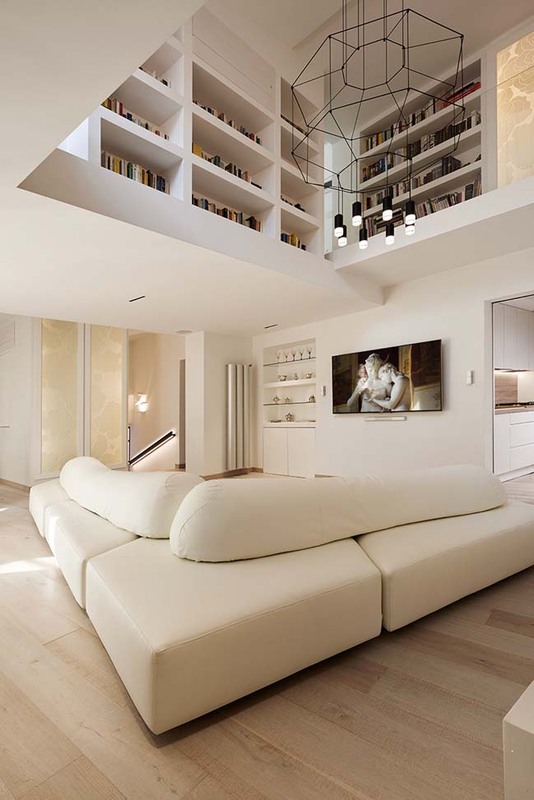 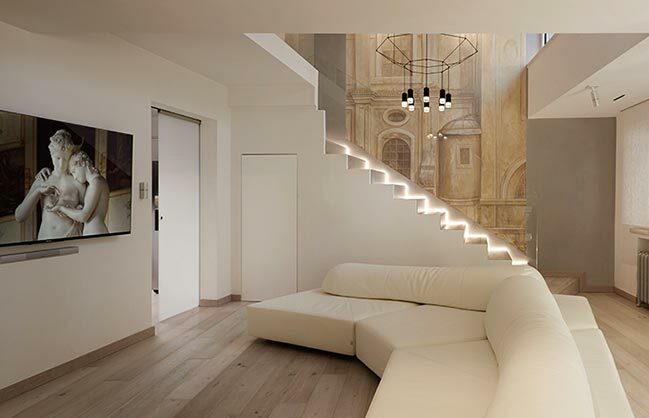 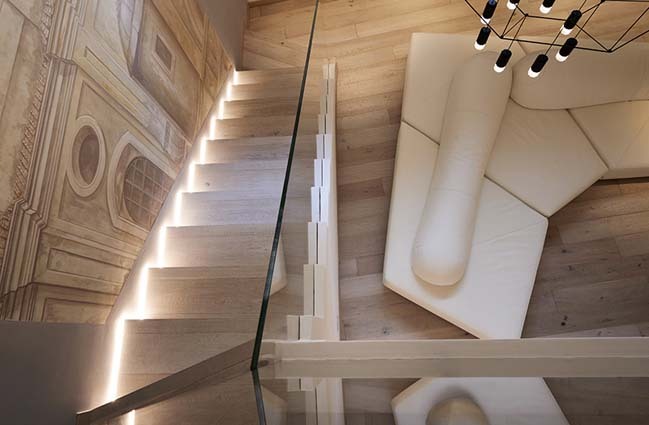 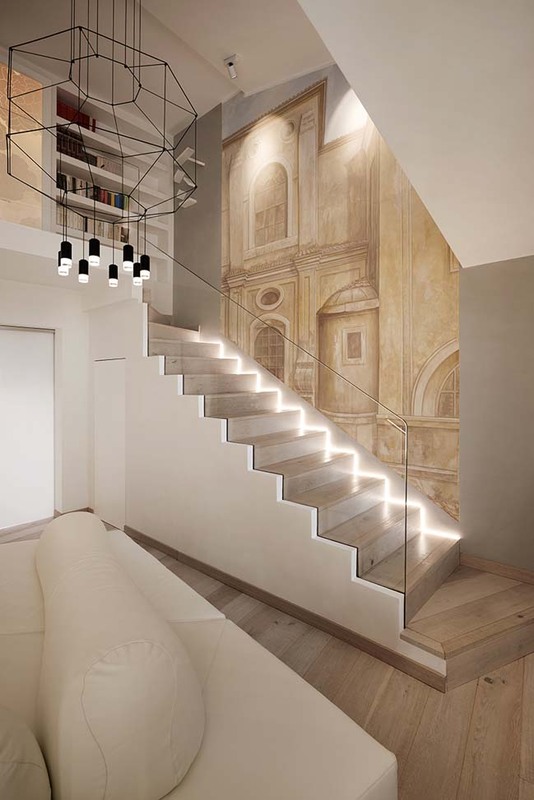 The double height living room has multiple views towards terraces and it is highlighted by a scenographic stairway that stands out through new LED light and old fresco. 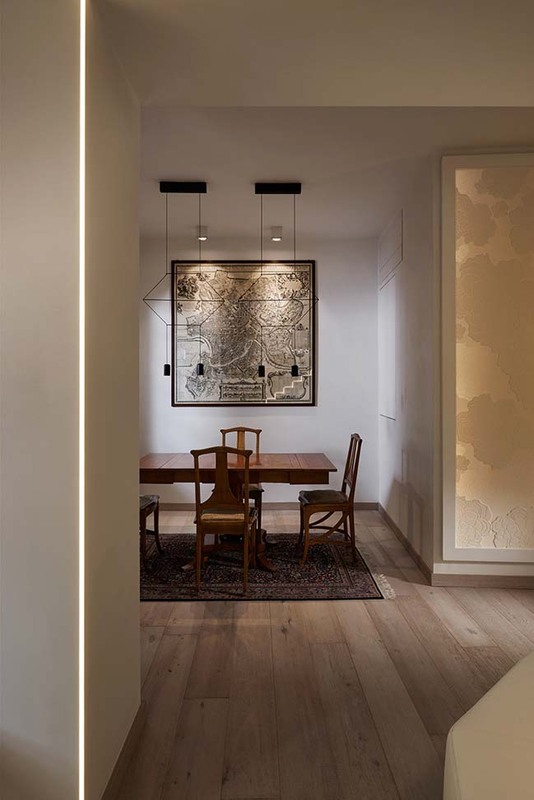 The outstanding furniture and well-studied lighting design create a refined harmony with the existing ancient building. 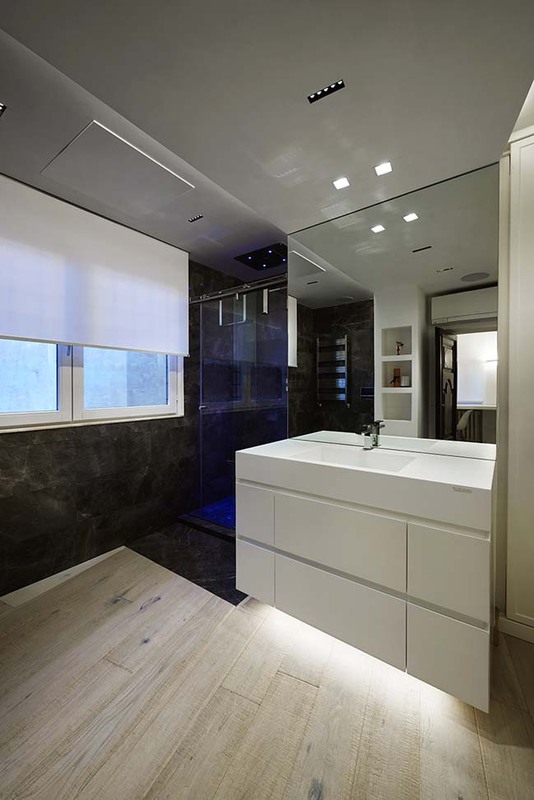 Back-lit KRION panels constellate the different functional areas. 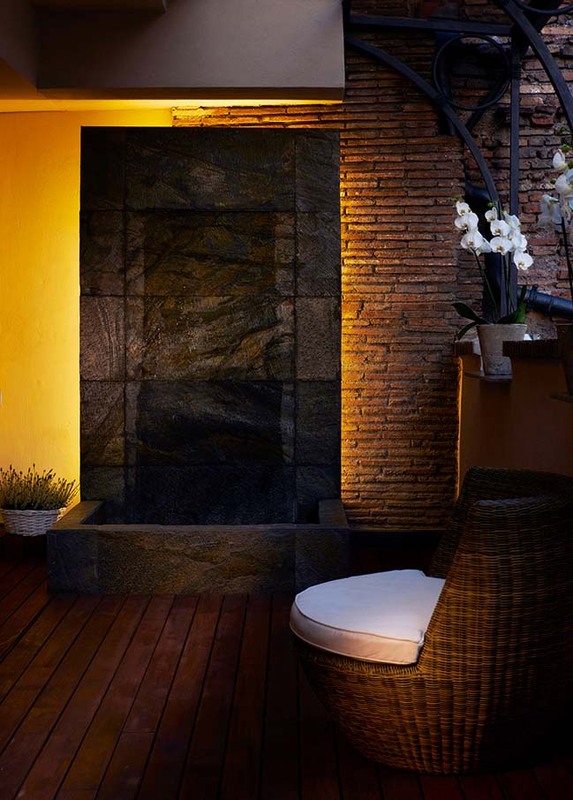 The fountain built in the lower terrace has a natural stone veneering and evocative light behind it that brings about the piece’s importance. 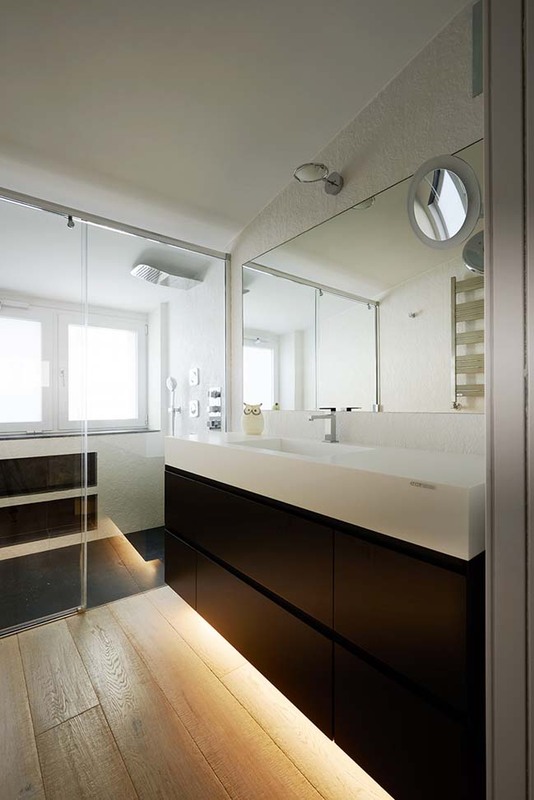 An office space and luxurious bathroom are located on the downstairs floor. 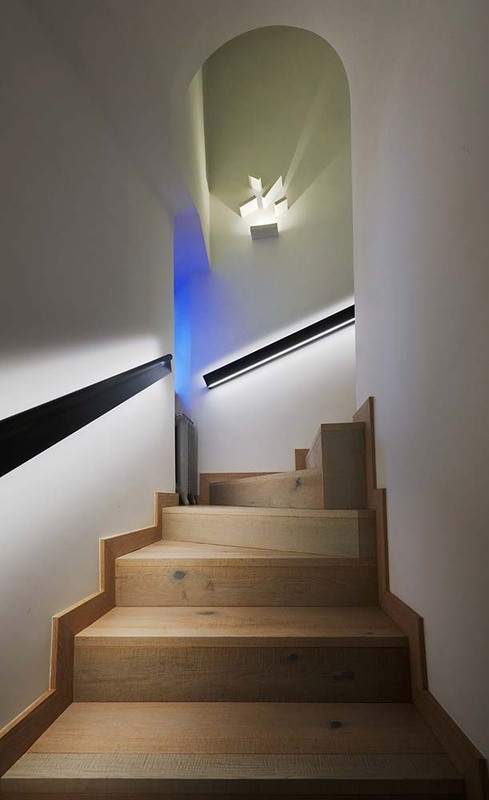 Moving up to the second level, a walkway that overlooks the living space and faces both terraces, crosses into the night area. 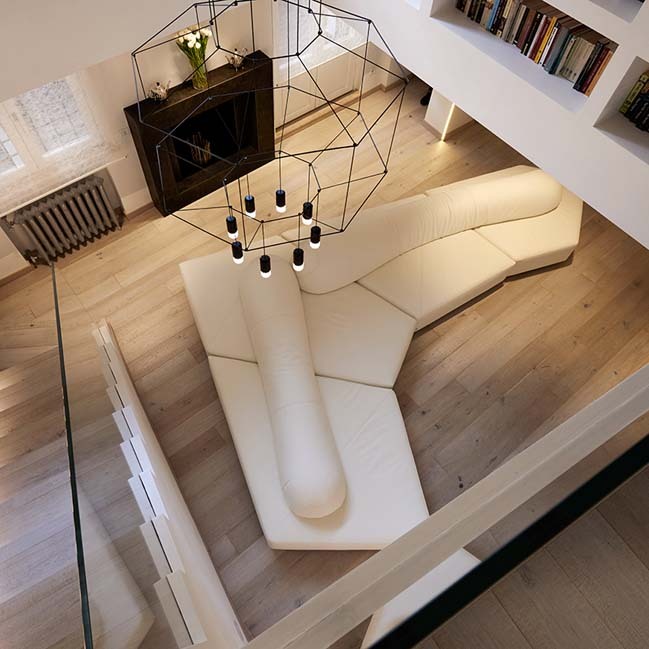 All furniture is designed by the architect and is custom made. 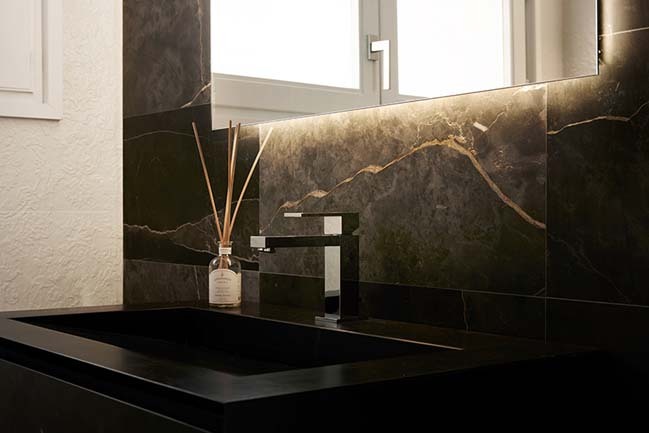 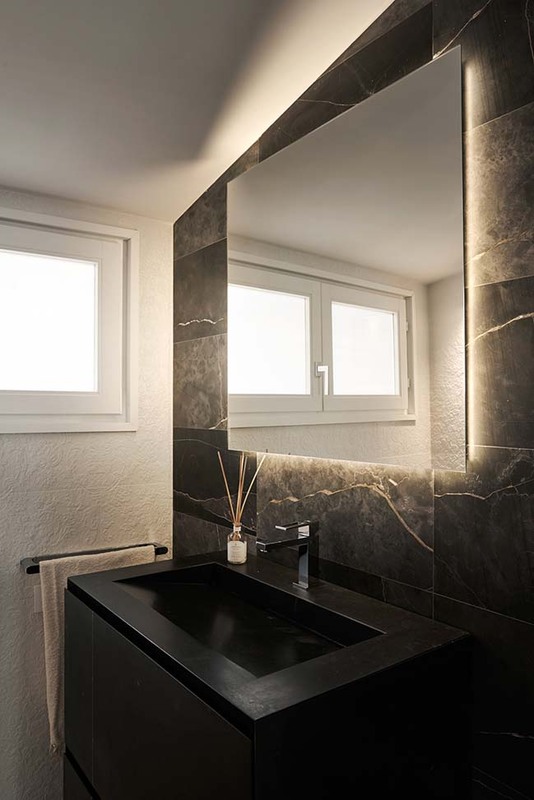 The two bathrooms are enhanced by high-quality materials such as marble, bas-relief tiles and parquet. 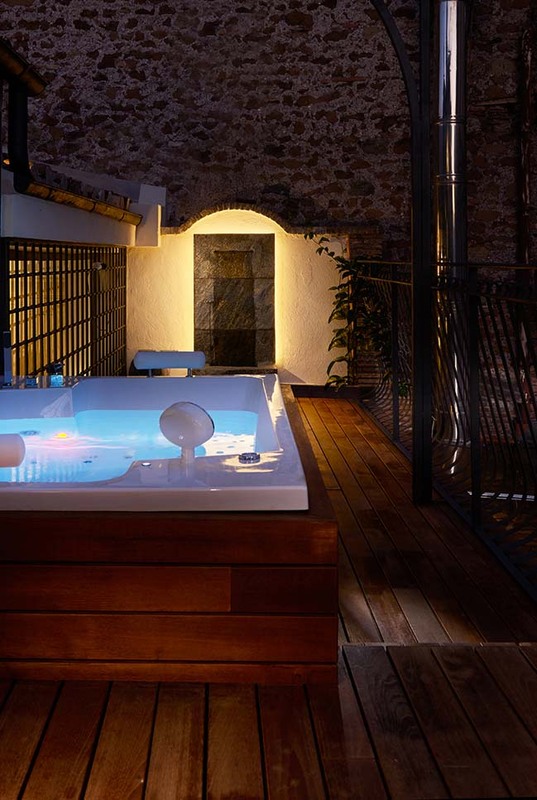 In the adjacent terrace, a living area, Jacuzzi and a second fountain create a luxurious and comfortable space that overlooks the surrounding ancient Roman rooftops.